Grace Meredith Pooley Lisk, 41, of Fuquay Varina, died Tuesday, October 24, 2017 at her home in Fuquay Varina. Grace was born on April 13, 1976 in Raleigh. 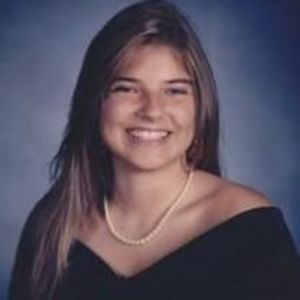 She was a graduate of Apex High School and attended Western Carolina University and East Carolina University. She was co-founder and sales manager of Contract Carpets. Grace is survived by her son, Johnathan Pooley; parents, John Eugene Lisk and Barbara Jean Schlee Lisk; sisters, Melissa Lisk and Juli Hepner. A funeral service will be held 11am Thursday, November 2, 2017 at Merry Oaks Baptist Church, 5571 Old US 1, New Hill, NC 27562. Burial will follow the service in Merry Oaks Cemetery. The family will receive friends 6-8pm Wednesday, November 1, 2017 at Apex Funeral Home, 550 W. Williams St, Apex, NC 27502.